China is planning to launch a high-resolution Earth observation satellite this month, according to the State Administration of Science, Technology and Industry for National Defense (SATIND). The government agency revealed details about the launch on Thursday, which was carried by the state-run Xinhua news agency. 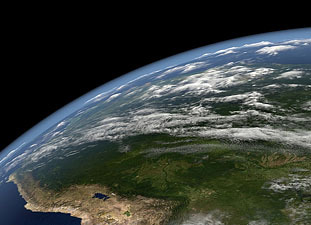 The satellite will be the first to provide high-resolution observation data of the Earth. It will be launched using a Long March 2D carrier rocket, the SATIND said, and examinations of both the satellite and its carrier rocket have been completed. China plans to launch five to six satellites by the end of 2015 in order to build a complete spatial, temporal, and spectral high-resolution observation system, Xinhua reported. Data collected by the satellites will be used by the Ministry of Land and Resources, Ministry of Agriculture, and Ministry of Environmental Protection for disaster management, geographic and oceanic surveys, urban transportation management, and national security, the agency said.